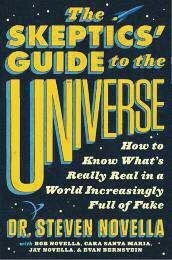 A review of The Skeptics’ Guide to the Universe: How to Know What’s Really Real in a World Increasingly Full of Fake, by Steven Novella with Bob Novella, Cara Santa Maria, Jay Novella, and Evan Bernstein. Grand Central Publishing, 2018. 512 pp. $30. THERE ARE MANY CLASSICS OF SKEPTICAL literature. 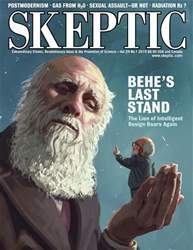 We often hear how someone became a skeptic because they read a book by Carl Sagan, James Randi, Michael Shermer, or some other luminary of the skeptic world. Those books will never grow old; they are still invaluable. Did we really need another book? Steven Novella thought so; he saw a need to augment the old arguments with new findings from research about human psychology and with guidance about how to cope with the era of “fake news.” The result was an instant new classic, more comprehensive than the preceding ones, covering science, critical thinking, skepticism, and much more: The Skeptics’ Guide to the Universe: How to Know What’s Really Real in a World Increasingly Full of Fake News, by Steven Novella and his colleagues from the Skeptics Guide to the Universe podcast.